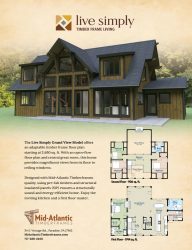 The Live Simply Grand View Model offers an adaptable timber frame floor plan starting at 2,650 sq. ft. with an open-flow floor plan and central great room, this home provides magnificent views from its floor to ceiling windows. Enjoy the inviting kitchen and a first floor master. 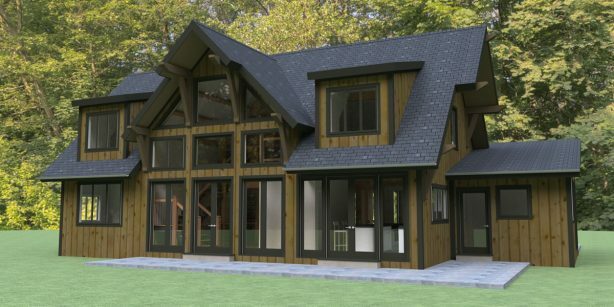 Designed with Mid-Atlantic Timberframes quality, using pre-fab timbers and structural insulated panels (SIP) ensures a structurally sound and energy-efficient home. 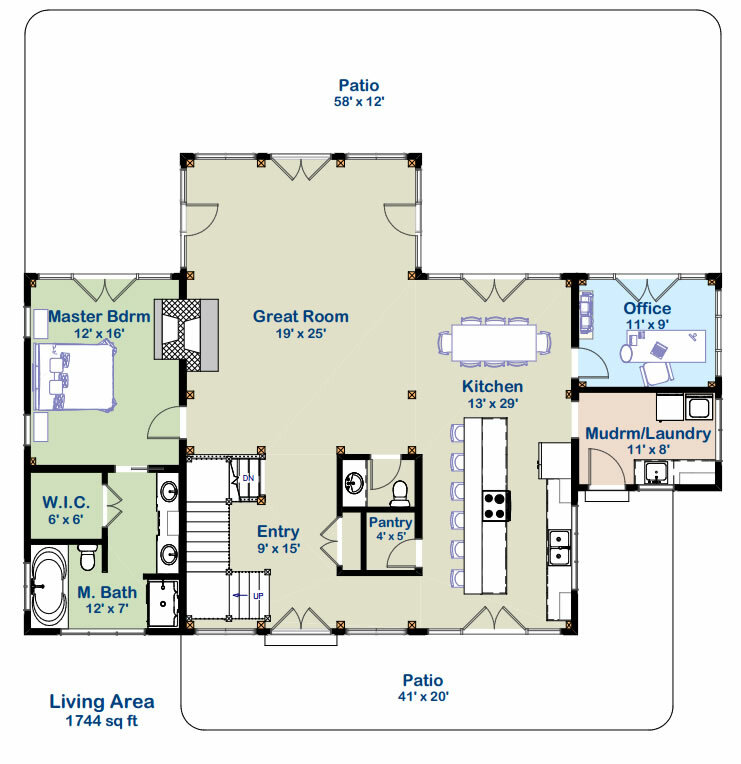 First Floor – 1744 sq. 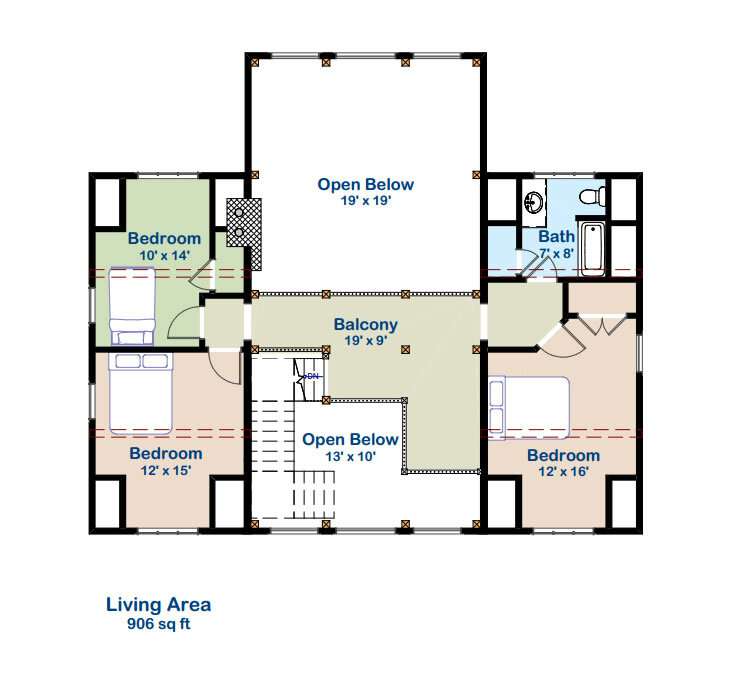 ft.
Second Floor – 906 sq. ft.